Metal mezzanine with wooden floor, easy to assemble without works. The Mezzanine TS 5 is narrower and longer than the other mezzanines of the S range. It is small and versatile, and its design is perfect for small spaces both at homes and in business. It takes advantage of small areas with total resistance and safety. The Mezzanine TS5 supports a load of 200 kg/m² when it is fully extended. It can be combined with almost any Tecrostar stair model or accessory. The TS5 is a metal mezzanine suitable for taking advantage of small spaces with high ceilings, always maintaining the stability and robustness of Tecrostar tailored mezzanines. 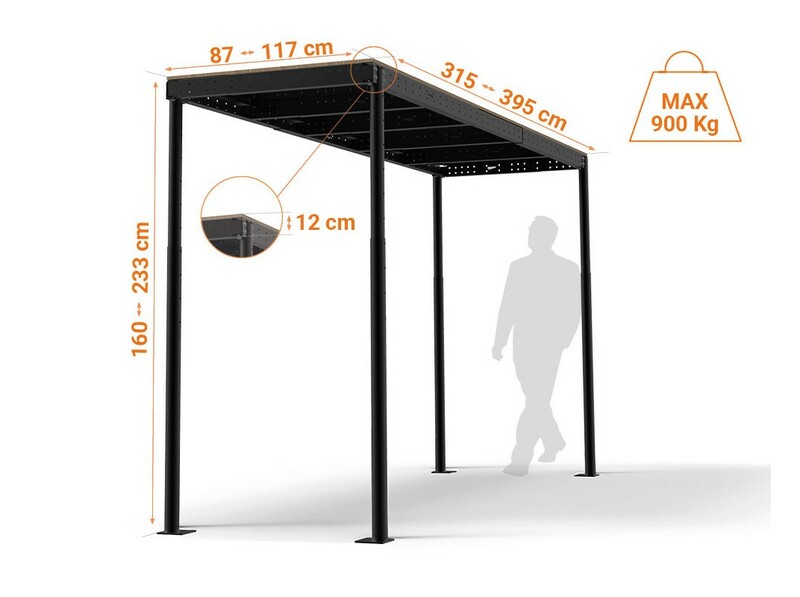 Thanks to its 5 m² surface and a 200 kg/m² resistance – that allows a total load of 1000 kg-, the TS5 Mezzanine enables any business or home room to became two. No need of bricklaying, works or being a DIY master. la mezzanine a été simple de mise en oeuvre. produit de très bonne qualité et robuste. Je suis plus craintif sur la durée de vie des planches en bois soumise aux intempéries. L'avenir nous le dira. 5 étoiles pour la Mezzanine TS5 - Excellent produit ! C’est un excellent produit, facile à monter et très bien conçu. Can the legs of a platform be different heights? For example, can a platform be placed having 2 legs on a concrete block? 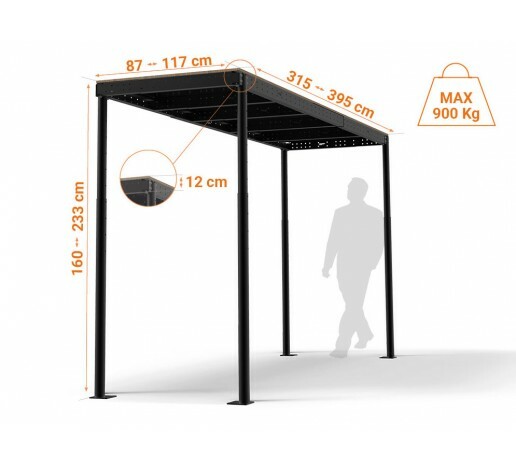 The height of Tecrostar mezzanines is adjustable every 12 cm. You can perfectly place the pillars with different heights. You must make sure that the surface is levelled in order to avoid the inclination of the floor.